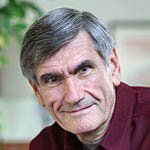 Marshall B. Rosenberg, Ph.D., author of the internationally acclaimed Nonviolent Communication: A Language of Life, and Speak Peace in a World of Conflict, has taken up where Gandhi, King and other past visionary leaders for peace left off. An internationally renowned peacemaker, Rosenberg 's credentials rank him as one of the foremost new leaders for world peace. His visionary communication process, Nonviolent Communication (NVC), is the cornerstone of what global leaders, educators and beyond are identifying as the missing link to the solution we all seek. Viewed through NVC eyes, all anger and violence?both in the world at large and in our own personal lives?is a counter-productive attempt by people to meet their needs. Dr. Marshall B. Rosenberg is Founder and Director of Educational Services for the Center for Nonviolent Communication (CNVC). He has provided training and initiated peace programs in a number of war-torn areas including Rwanda, Burundi, Nigeria, Malaysia, Indonesia, Sri Lanka, Sierra Leone, the Middle East, Colombia, Serbia, Croatia and Northern Ireland. Marshall can be reached through the Center for Nonviolent Communication.